There are currently 2 users and 1088 guests online. 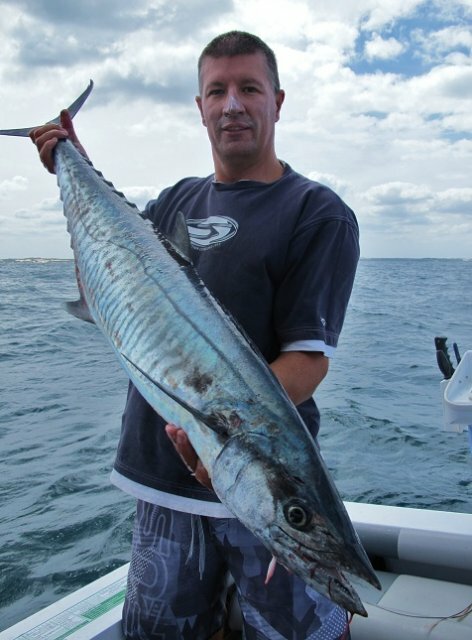 Seaforce Charters (Coral Bay) have joined Fishwrecked.com as regional sponsors, further boosting our ability to provide quality services to our members. Please make Adam (SEAFORCE CHARTERS) welcome when you see him on the site, I'm sure there will be plenty of sick catch photos coming over the next few months. Please make sure you support the guys who support the site, these are local businesses looking after local people. I've been talked into doing Movember this year, unfortunately a few days to catch up due to a wedding on Saturday. If any of you generous souls feel like donating it would be appreciated for a good cause. I will of course post up a few photos of the dirty moe I end up growing. Just a reminder that the Fishwrecked buy/sell forum is for you members to offload your old and unused gear, it is not for online trading for personal gain or profiteering. Any posting deemed commercial (from a non site sponsor) will be removed. Posts in the buy/sale section will now only stay there for 3 months and we will be removing old content (slowly). Please support the sponsors that support this site. It seems lately that a few people may have had some bad experiences with fishing charters up and down the coast. Whilst I appreciate you guys putting up your reports here, which is fine for you to do, how about you contact the operator and let them know that you weren't happy and see what they are willing to do about it. Many people have high expectations (and differing expectations) when it comes to these sorts of things. Try and put yourselves in their shoes, if the fish aren't biting, then there's not much you can do about it all you can do is try your best. Just try and think about it from their perspective before going all keyboard warrior styles and ripping into their business and doing untold damage just because you got the bad day. Everyone's heard the story, you shoulda been here yesterday!! This thread only serves as notice that I will be monitoring this stuff closely from now on as; a) because I don't want defamation suits or the threats that go with, b) because these guys try bloody hard to get you fish and it's not always easy, c) because you wouldn't like it if it was your business being dragged through the mud. So rather than jumping on the net and going to town, try ring the guys first and see what outcome you get and then if you aren't happy, have a good hard think before posting and try and keep it objective and tell your story and we will go from there.